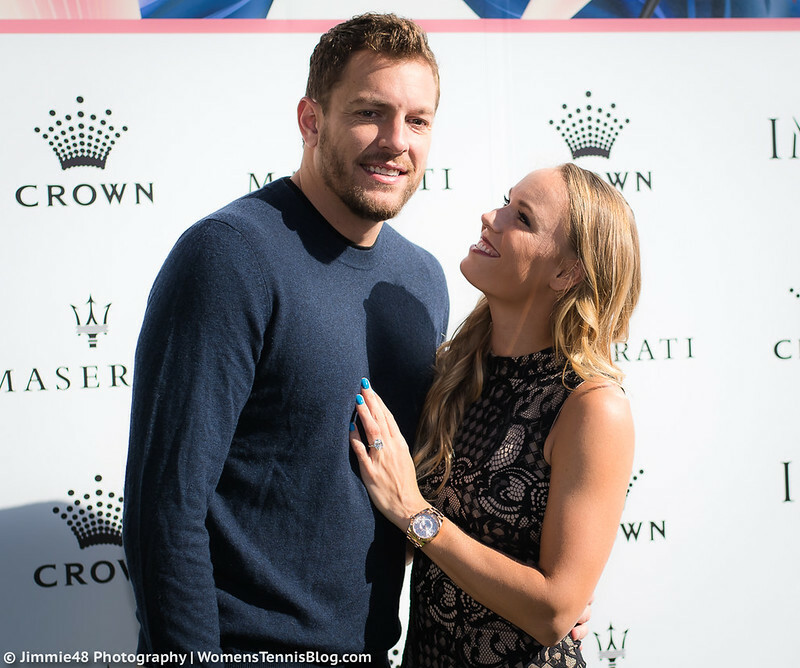 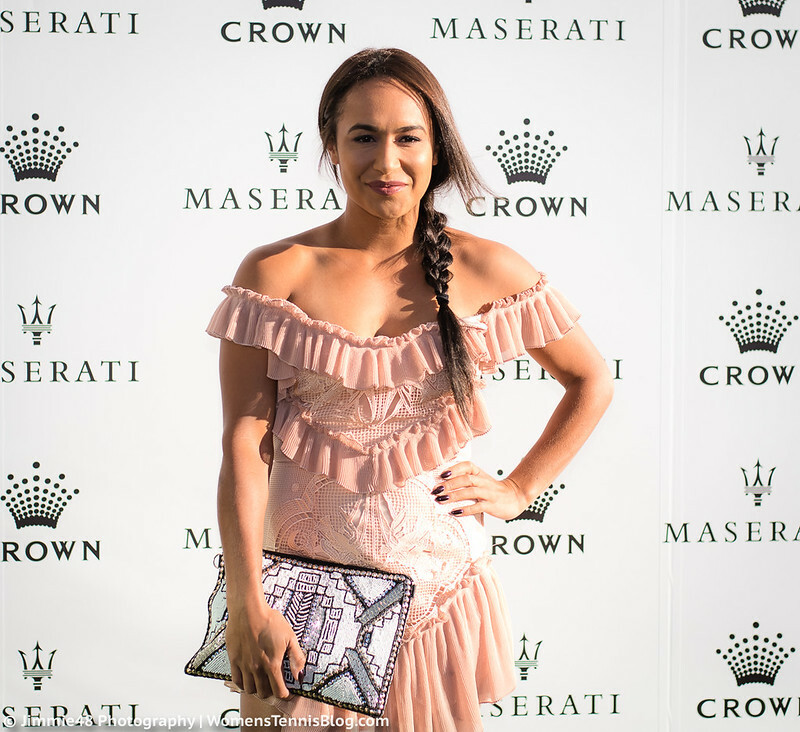 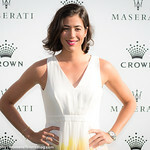 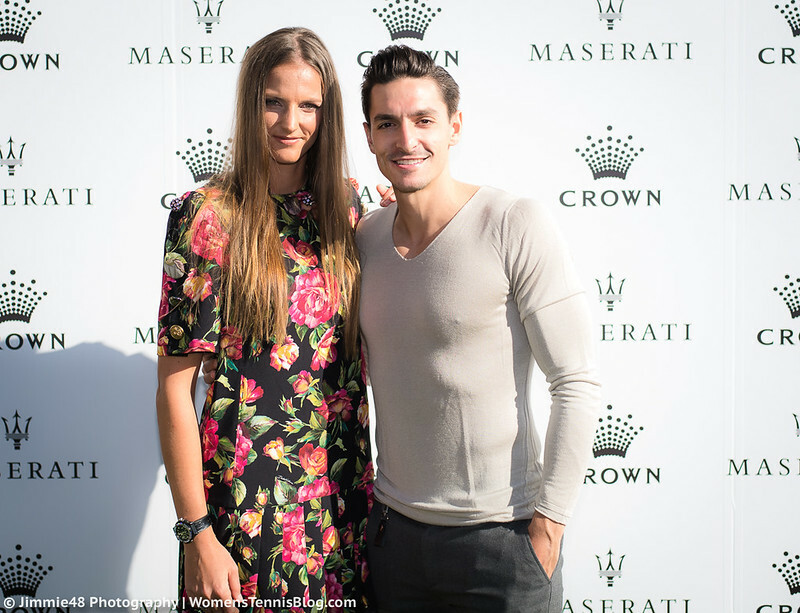 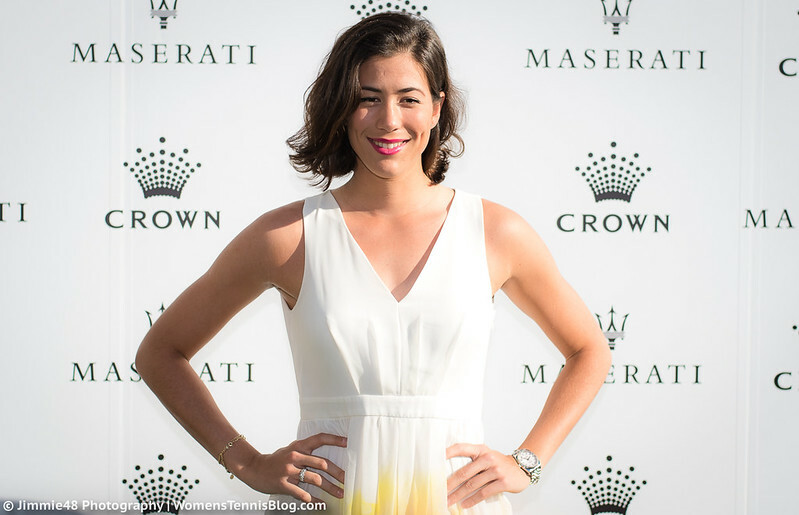 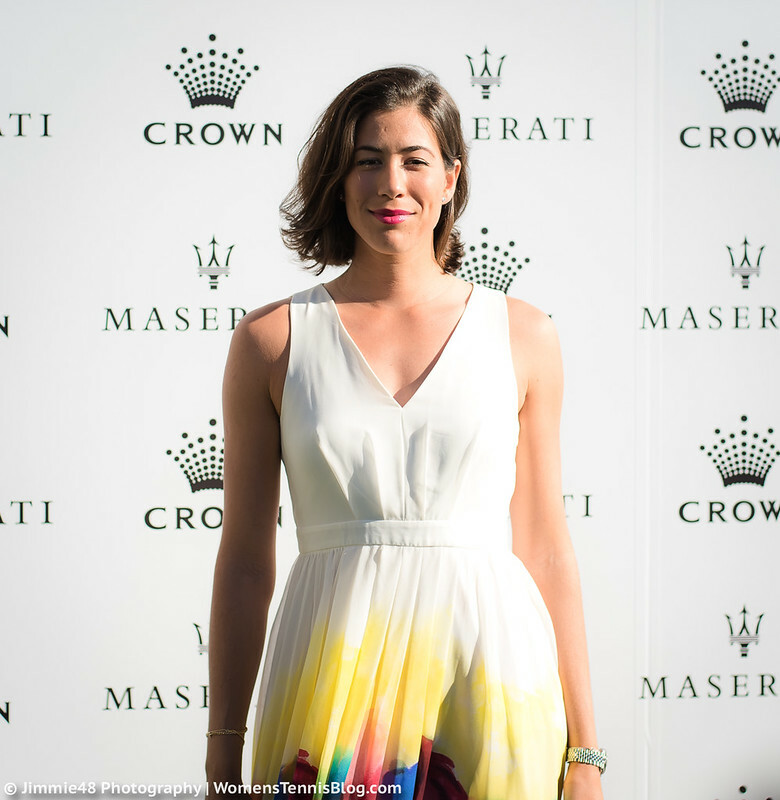 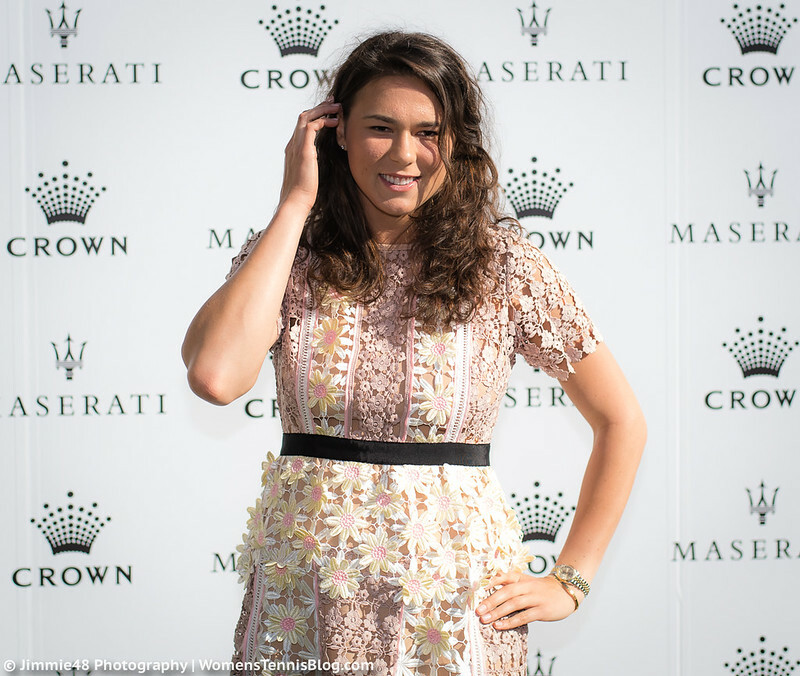 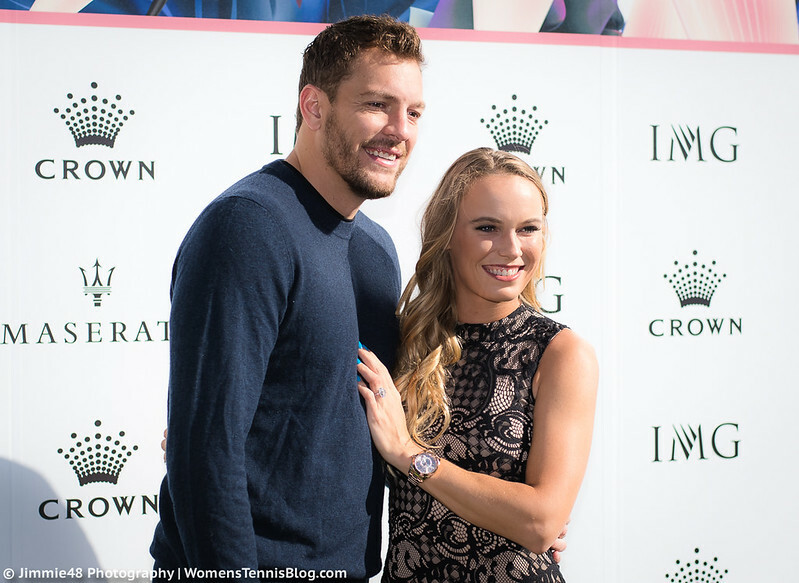 Our Jimmie48 started his coverage of the 2018 Australian Open fortnight with the Crown IMG Tennis Party on January 14th. 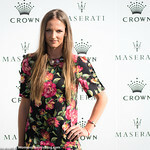 Caroline Wozniacki and Karolina Pliskova brought their fiancés, David Lee and Michal Hrdlicka, respectively, while shining by themselves were Garbine Muguruza, Petra Kvitova, Eugenie Bouchard, Heather Watson, Natalia Vikhlyantseva, and IMG’s latest signing Jelena Ostapenko, now represented by Max Eisenbud. 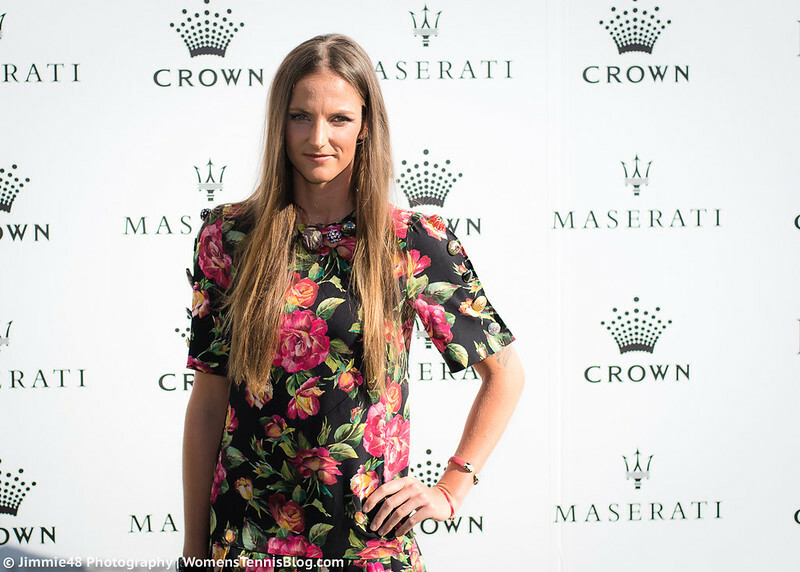 While Wozniacki, Ostapenko, Watson and Vikhlyantseva all opted for lace dresses, with or without ruffles, Bouchard’s style was young and hip as usual, as the Canadian was wearing a black crop top and loose pants. 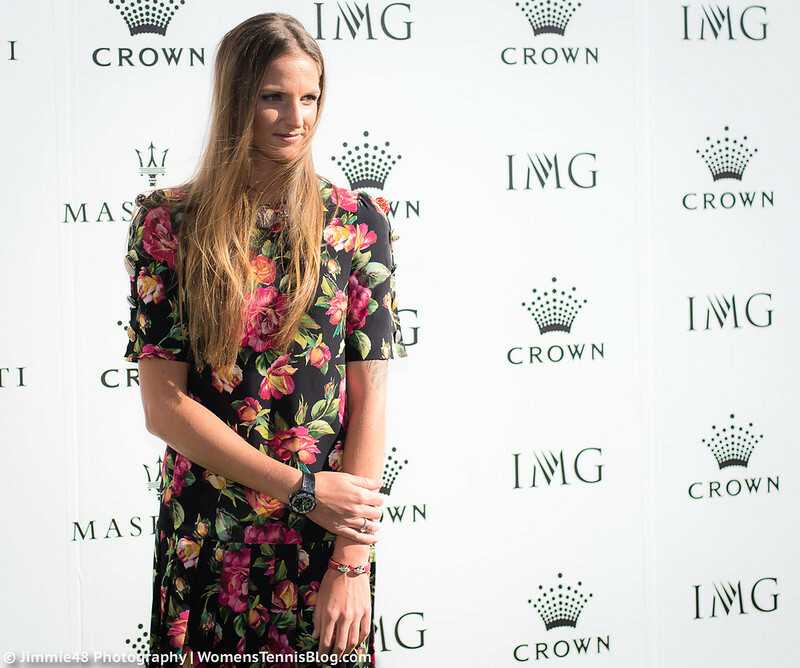 Kvitova exuded old-school glam with her red lipstick and Hollywood-style updo, while her compatriot Pliskova chose a bold rose print. 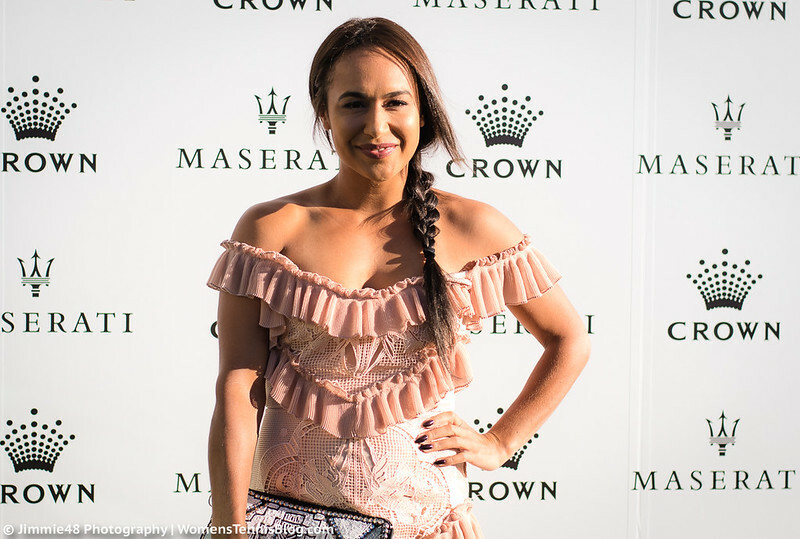 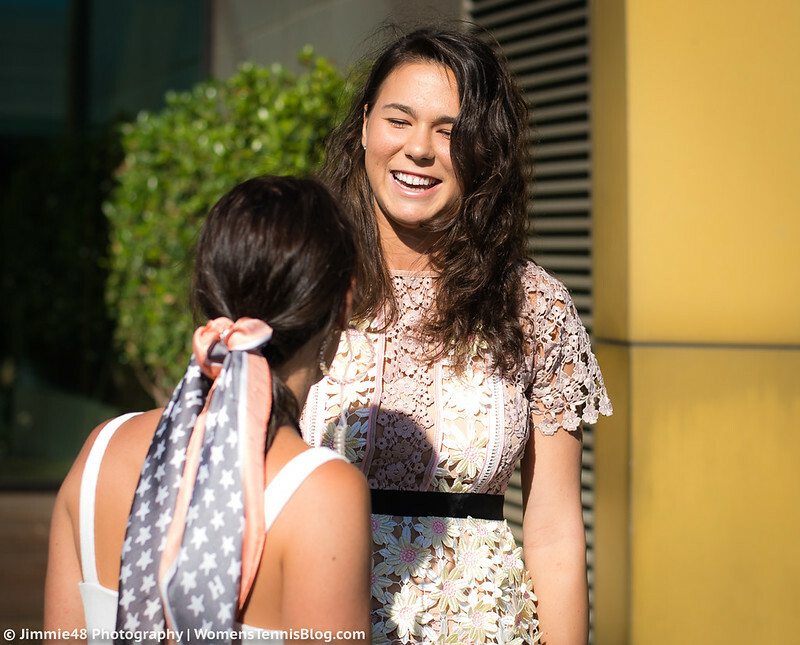 Keep checking back to Women’s Tennis Blog for more photos, match reports and fashion updates from the 2018 Australian Open! 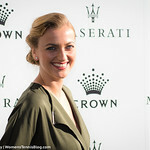 I think Petra K is the one who is looking most stuning! 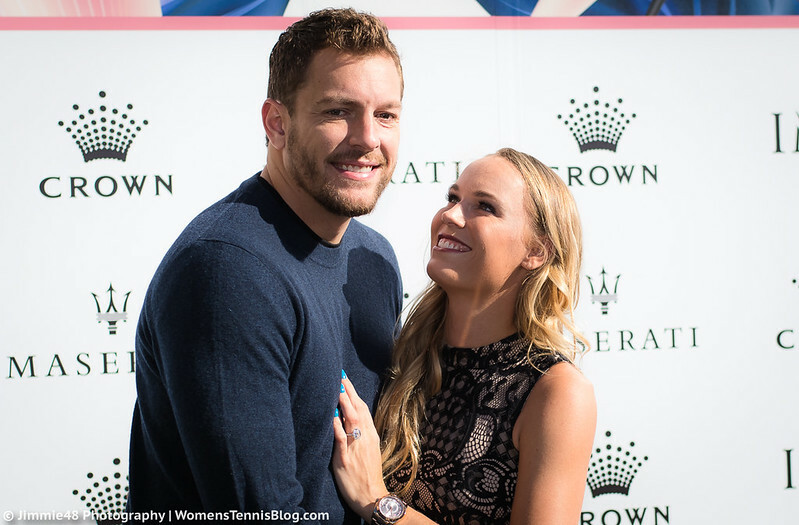 And Wozniacki looks happy; good for her! 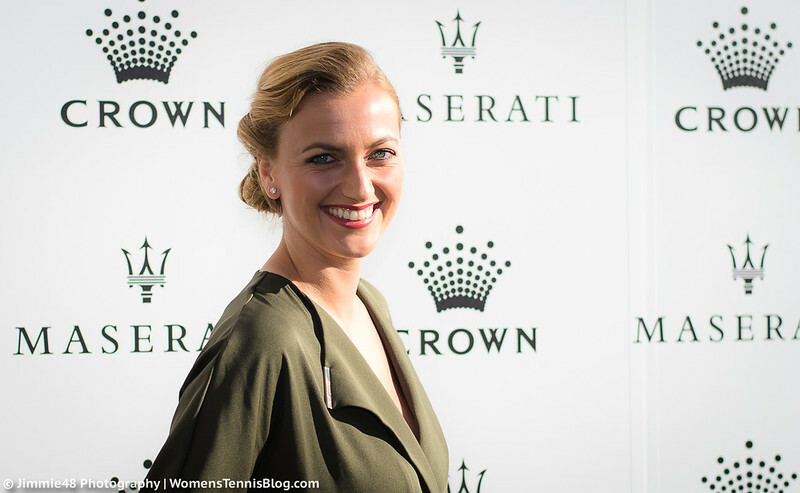 Petra looks lovely. 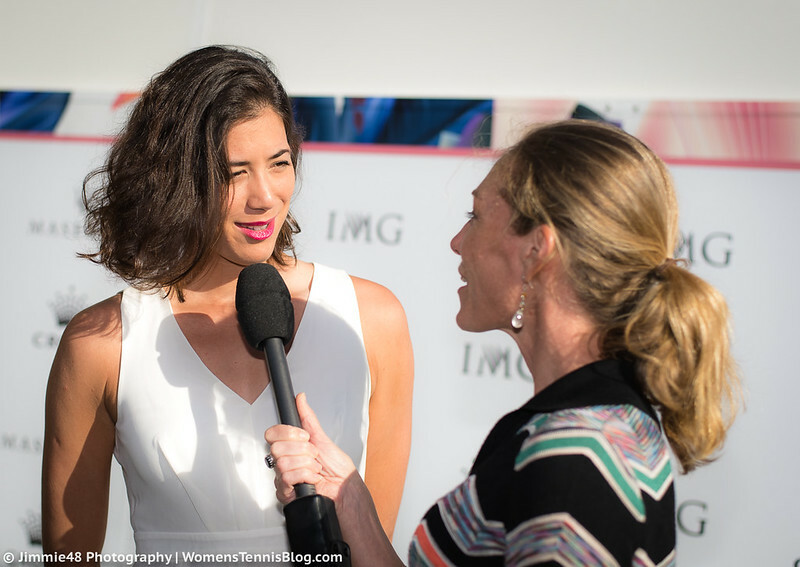 Garbine looks gorgeous as usual, and Caroline looks ok. 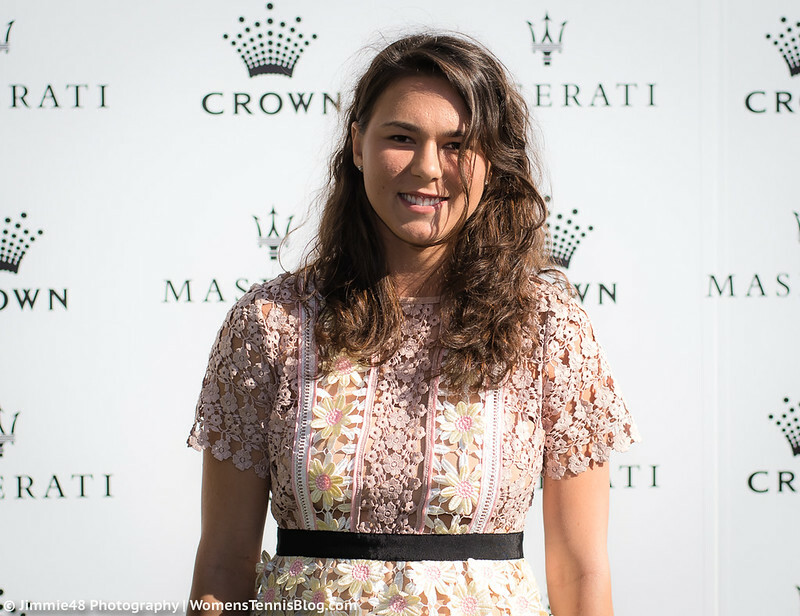 The others all look terrible – Bouchard in particular looks like she is going to the beach – perhaps the WTA needs to hire a stylist? 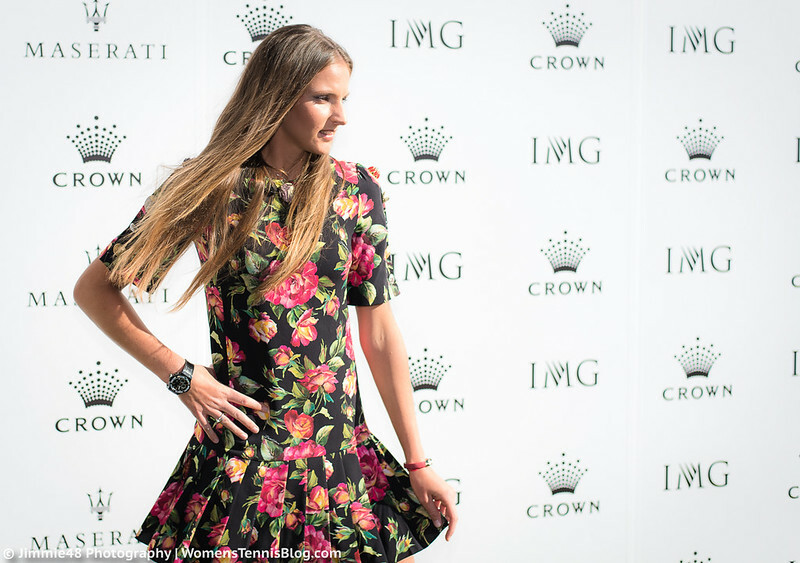 CLT, I think Bouchard looks great. 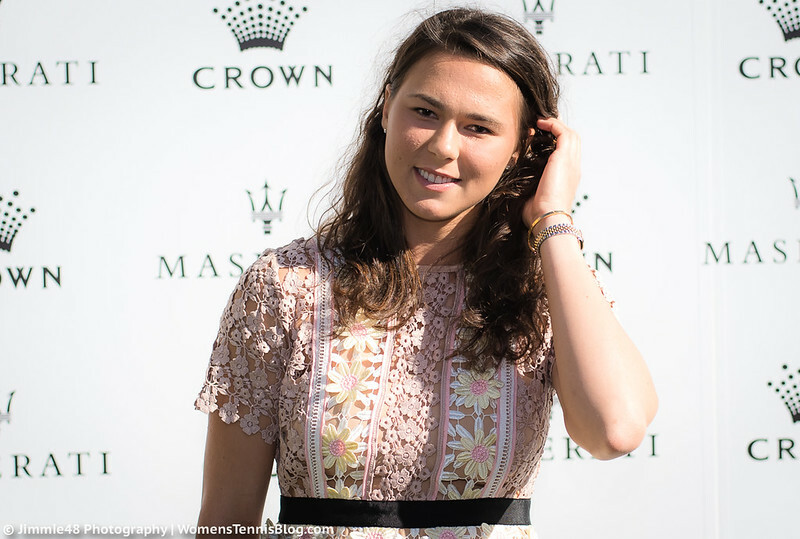 She’s young and a casual style suits her just fine, even for a players’ party. 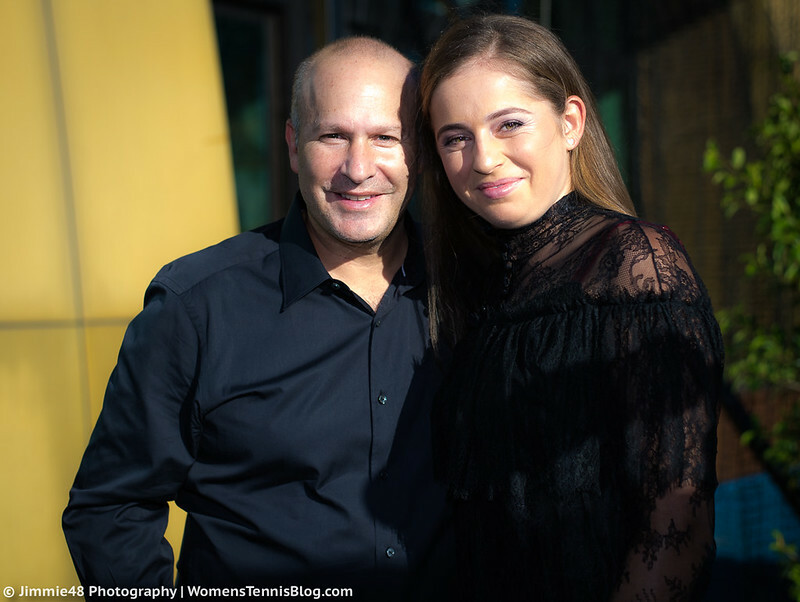 Ostapenko’s dress, though, is a total miss.